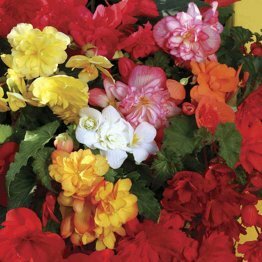 BEGONIA Sparkle has a fantastic array of white, yellow, orange, pink, red and gold shades, and is the perfect choice when you want to see a carpet of colour cascading over the sides of your hanging baskets and containers. A great performer. Plugs 4 to 6 CM high (height is from root base to top of plant).